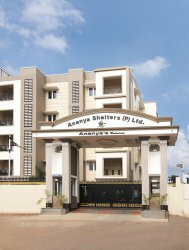 Ananyas Raintree is located in Ganapathy, it is promoted by Ananya Shelters Pvt. Ltd., a company with the experience and expertise to deliver excellence. The measure of their success lies in the testimony of hundreds of families who have found every project developed by the company a heaven of peace and comfort. With over a decade of experience and a build up space of over million sq.ft., the company is quietly confident of measuring up to the challenges of the future. The management is backed by a team of experienced professionals who have designed, managed and executed numerous landmark projects. Ananya's Raintree is located right in the heart of Coimbatore city at Ganapathy. Innovative design ensures that, though an apartment, it is open to all four sides without a common wall to facilitate the free of light and air.